Six English prints were published in Zürich during the reign of Edward VI. Among these was an entire Bible, printed in 1550 by Christoph Froschauer. 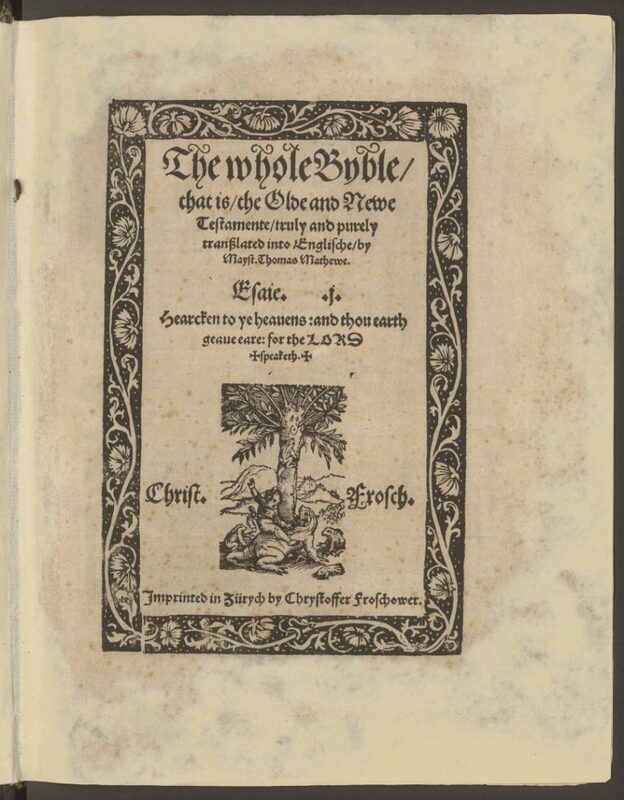 It is not in fact the Matthew Bible as suggested on the title-page, but rather the Coverdale Bible. In all likelihood, the English placed their order abroad because they were unable to get a licence to print bibles in England. They probably even dispatched an agent to oversee the printing in Zürich. The printer, Christoph Froschauer, kept one copy of this edition for himself. 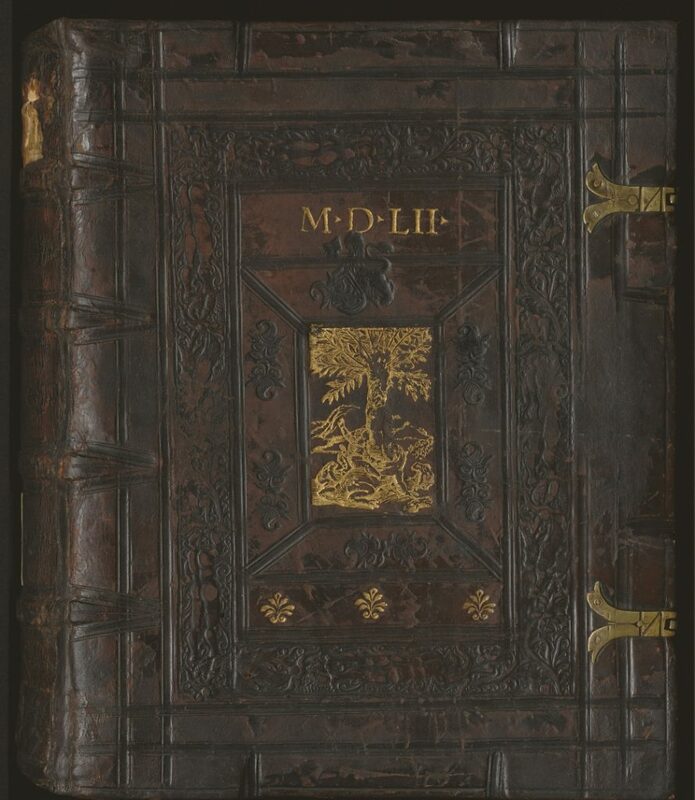 It is bound in calf leather and stamped with a gold supralibros on the front cover, depicting a frog in a meadow (Frosch – Au) as a saint Christopher carrying Jesus.